Aluminum and plastic connectors and unions for carbon tubes. 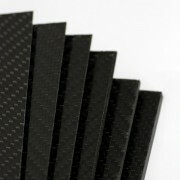 Carbon fiber sheets 100%, with Gloss or Matt finish on both sides. Of great rigidity and quality. 0.6mm thickness There are 9 products. Two-sided carbon fiber plate GLOSS - 400 x 250 x 0.6 mm. GLOSS CARBON FIBER PLATE TWO FACES VIEWS SIZE: 400mm. X 250mm. THICKNESS: 0.6mm. GLOSS CARBON FIBER PLATE TWO FACES VIEWS SIZE: 400mm. X 250mm. THICKNESS: 0.6mm. Two-sided carbon fiber plate MATTE - 400 x 250 x 0.6 mm. MATTE CARBON FIBER PLATE TWO FACES VIEWS SIZE: 400mm. X 250mm. THICKNESS: 0.6mm. MATTE CARBON FIBER PLATE TWO FACES VIEWS SIZE: 400mm. X 250mm. THICKNESS: 0.6mm. Two-sided carbon fiber plate GLOSS - 500 x 400 x 0.6 mm. GLOSS CARBON FIBER PLATE TWO FACES VIEWS SIZE: 500mm. X 400mm. THICKNESS: 0.6mm. GLOSS CARBON FIBER PLATE TWO FACES VIEWS SIZE: 500mm. X 400mm. THICKNESS: 0.6mm. Two-sided carbon fiber plate MATTE - 500 x 400 x 0.6 mm. MATTE CARBON FIBER PLATE TWO FACES VIEWS SIZE: 500mm. X 400mm. THICKNESS: 0.6mm. MATTE CARBON FIBER PLATE TWO FACES VIEWS SIZE: 500mm. X 400mm. THICKNESS: 0.6mm. Two-sided carbon fiber plate GLOSS - 800 x 500 x 0.6 mm. GLOSS CARBON FIBER PLATE TWO FACES VIEWS SIZE: 800mm. X 500mm. 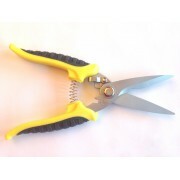 THICKNESS: 0.6mm. GLOSS CARBON FIBER PLATE TWO FACES VIEWS SIZE: 800mm. X 500mm. THICKNESS: 0.6mm. Two-sided carbon fiber plate MATTE - 800 x 500 x 0.6 mm. MATTE CARBON FIBER PLATE TWO FACES VIEWS SIZE: 800mm. X 500mm. THICKNESS: 0.6mm. MATTE CARBON FIBER PLATE TWO FACES VIEWS SIZE: 800mm. X 500mm. THICKNESS: 0.6mm. Two-sided carbon fiber plate GLOSS - 1200 x 600 x 0.6 mm. GLOSS CARBON FIBER PLATE TWO FACES VIEWS SIZE: 1200mm. X 600mm. THICKNESS: 0.6mm. GLOSS CARBON FIBER PLATE TWO FACES VIEWS SIZE: 1200mm. X 600mm. THICKNESS: 0.6mm. Two-sided carbon fiber plate MATTE - 1200 x 600 x 0.6 mm. MATTE CARBON FIBER PLATE TWO FACES VIEWS SIZE: 1200mm. X 600mm. THICKNESS: 0.6mm. MATTE CARBON FIBER PLATE TWO FACES VIEWS SIZE: 1200mm. X 600mm. THICKNESS: 0.6mm. Two-sided carbon fiber plate MATTE - 1000 x 800 x 0.6 mm. MATTE CARBON FIBER PLATE TWO FACES VIEWS SIZE: 1000mm. X 800mm. THICKNESS: 0.6mm. MATTE CARBON FIBER PLATE TWO FACES VIEWS SIZE: 1000mm. X 800mm. 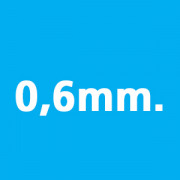 THICKNESS: 0.6mm.